You may have tried The Winery’s Tustin outpost before, but we prefer the stunning harbor views and supper club vibe at their newest location along Newport Beach’s posh Mariner’s Mile. Executive chef/partner Yvon Goetz and his team have crafted a waterfront dining experience that is elegant and upscale without feeling exclusive, so you’ll fit in even if your idea of dressing up is to don a freshly-pressed Hawaiian shirt. The seafaring vessels that drift by the restaurant’s large bay windows are a perfect backdrop for Goetz’s flavorful, expertly composed contemporary cuisine, which ranges from seafood entrées such as jumbo Maine scallops and wild white shrimp with saffron and crispy prosciutto, to more adventurous fare like a daily rotation of wild game dishes. 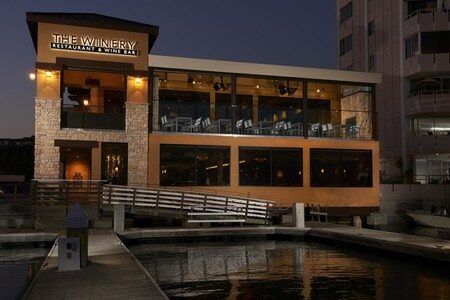 Review and rating of The Winery Restaurant & Wine Bar in Newport Beach. It’s no surprise that Orange County’s best sushi restaurant is in the middle of a strip mall. Such a location tends to be the calling card of the county’s top sushi joints. The fact that it is tucked away in Yorba Linda is much more shocking, since the northeast corner of OC is not exactly known for its destination dining. But sushi chef Hiro Noguchi makes the trek worthwhile, regardless of where you’re from. The bottles of soy sauce that adorn the sushi bar are practically there for show – you won’t need to touch one if you order Noguchi’s omakase, which can feature anything from tuna and spot prawns to bold seasonal items such as monkfish liver. Review and rating of Sushi Noguchi restaurant in Yorba Linda. In the last few years, the term “gastropub” seems to have gone from representing culinary anarchy to becoming code for “place that serves the same beet salad and short rib dish that you’ve had at several other establishments.” That’s why this unpretentious downtown Santa Ana joint is so remarkable. Chef Aron Habiger and chef/owner Ryan Adams have crafted a slew of dishes that remind you precisely why the notion of the gastropub was such a thrilling concept to begin with. The duo impresses with simple fare like prosciutto with handmade biscuits and walnut butter, and also delves into intriguing new territory with standouts including pork rib and head-on shrimp with corn fritters. As an added bonus, their exceptional Brussels sprouts make you forget what a tired trend they’ve otherwise become. 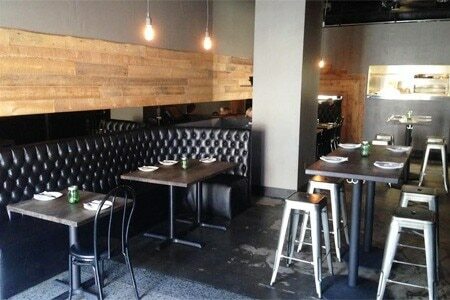 Review and rating of The North Left restaurant in Santa Ana. It’s practically a given that whenever chef/restaurateur Alessandro Pirozzi opens up an eatery, the food is going to be stellar and the place is going to be packed. 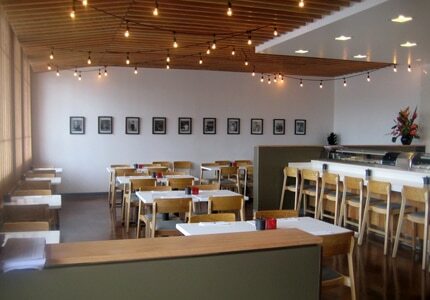 That’s exactly the deal with his newest creation, situated in the heart of Corona del Mar. Pirozzi’s whimsical approach to regional Italian fare results in dishes that are flavorful and smartly composed, like the must-try limoncello taglierini. They also take their pizzas seriously here, as each pie is made in an artisanal wood-burning oven that was specifically designed for the restaurant. 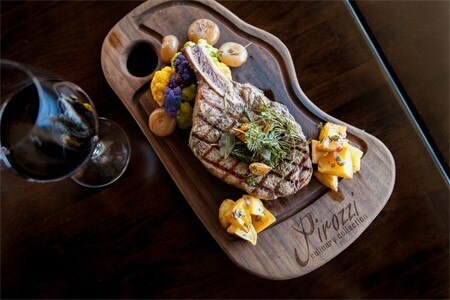 Review and rating of Pirozzi Corona del Mar restaurant in Corona del Mar. 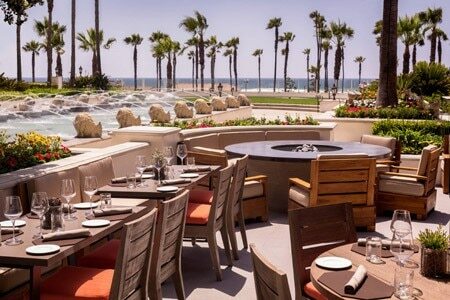 This flagship restaurant at the Hyatt Regency Huntington Beach Resort & Spa has an outdoor ocean-view patio that’s so nice, it could get away with a mediocre menu and still make a profit. But to the credit of executive chef Manfred Lassahn, WATERTABLE eschews average fare in order to push the parameters of contemporary cuisine into intriguing directions. This mindset can be experienced by simply indulging in a pre-dinner “bar jar”— a small canister of house-made snacks and treats including pickled eggplant and fennel spread. Review and rating of WATERTABLE restaurant in Huntington Beach.